Eye makeup is not my territory, if I can avoid it I probably will! Its the hassle of looking into the mirror really close because I can't see without my glasses, combined with the mess it takes to create a gorgeous look. However, that has all changed in the last two weeks since the Shadow Switch* has come into my life. The Shadow Switch is a name you will not forget. 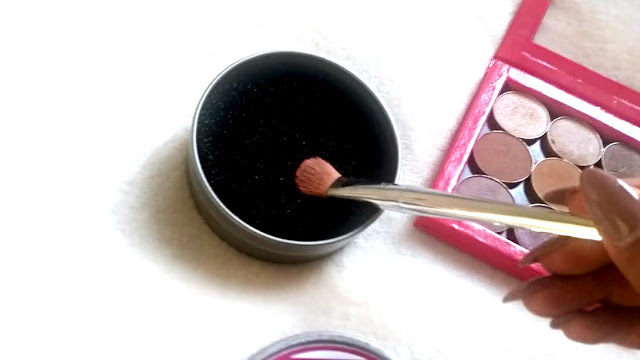 Its magic in a tin to help you change from one eye shadow shade to another, whilst still using the same brush.The inside of the tin is very much like a hair doughnut, but works in a different way. You use your brush as normal and then when you are ready to change the colour that you use you press the brush into the sponge and swirl. Swirling around in the tin removes the colour that you have applied first and allows you to then use another colour. It takes no longer than 5 seconds to clean the brush and then start using it again. The darker colours are a bit more difficult to completely get rid of from the brush, but that isn't what the tool is for. Its not to clean the brush, its to switch the colours. Since using the shadow switch, I've successfully cleaned it using warm water and soap as instructed. Left it to dry and its worked amazingly well the next time round too. Overall, I am beyond impressed with this tool and it is one that I will be taking everywhere with me. You can buy your very own for £5.99. 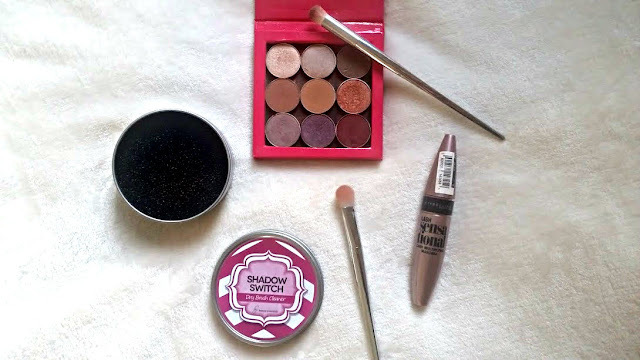 If this doesn't make creating the perfect eye look that bit easier, then I don''t know what does!